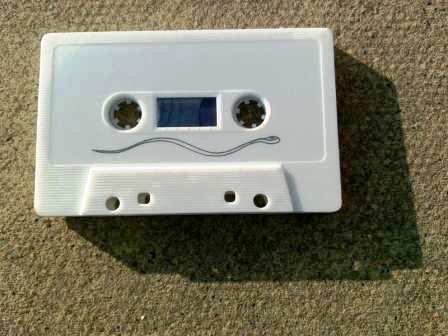 People Like Us will be interviewed on BBC Radio 4’s show “PM” this afternoon about the resurgence of cassettes and cassette labels in relation to their recent release on the TapeWorm label of “Baudrillard – Le Xerox et l’Infini” as read by Patricia & Ellen. We still have a few copies of Le Xerox et l’Infini left in our shop. Hurry though! 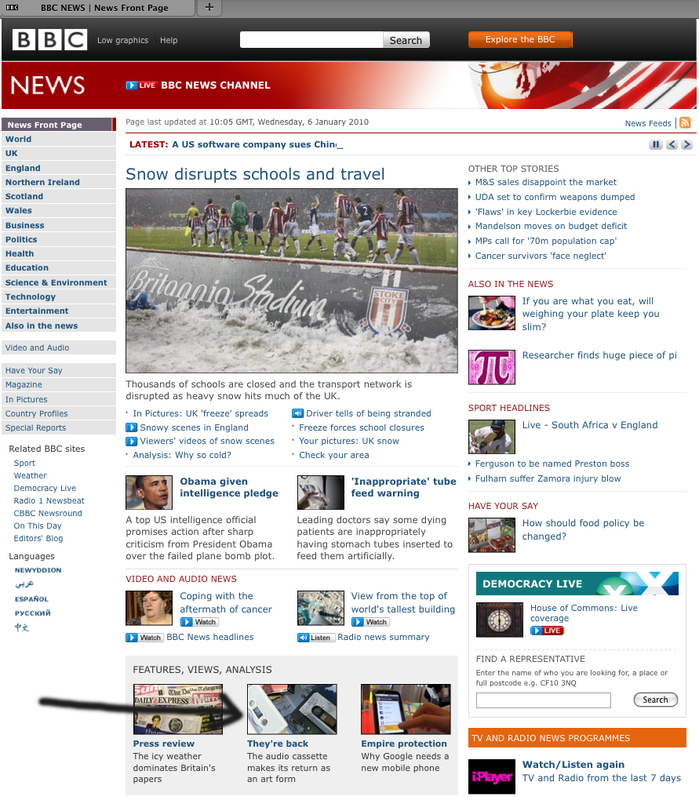 It will be archived for one week at BBC iPlayer. Follow the link to BBC Radio 4 and search “PM”. Jean Baudrillard’s “Le Xerox et l’Infini” – originally published in Paris, 1987 – as read by Patricia and Ellen. Recorded on 12 July 2009 by Vicki Bennett in Hersham, England. Translation: Agitac, London, November 1988. 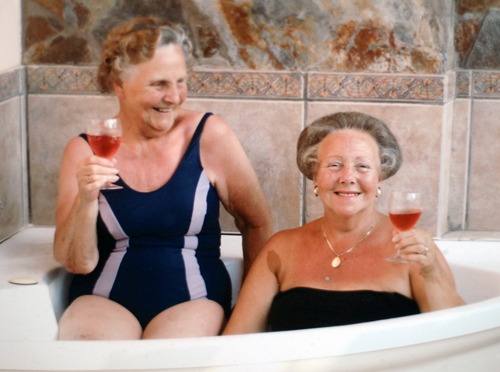 Patricia and Ellen were born in Reims, north-eastern France, on July 29, 1929. They told interviewers that their grandparents were peasants and their parents were civil servants. They became the first of their family to attend university when they moved to the Sorbonne in Paris. There they studied German, which led to them to begin teaching the subject at a provincial lycée, where they remained from 1958 until their departure in 1966. While teaching Patricia and Ellen began to publish reviews of literature, and translated the works of such authors as Peter Weiss, Bertolt Brecht and Wilhelm Mühlmann. Later on, with the development of the magnetic tape recorder, Patricia and Ellen used these new means in order to manipulate their performances and expand the possibilities of language sound transformations. Patricia and Ellen continue to actively perform their work, the contextual quality of which is enhanced by their idiosyncratic delivery.